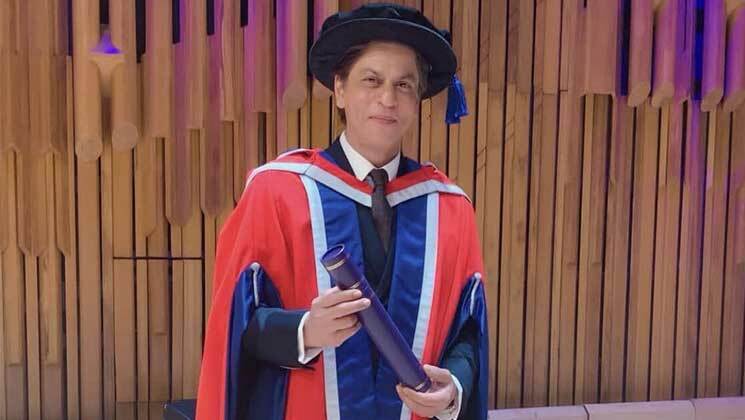 Shah Rukh Khan was conferred with the doctorate degree by the University of Law, London on April 4. He received the prestigious degree for his philanthropy work. The ‘Zero’ is on cloud nine and taking to his Twitter handle, he thanked the University of Law and also extended his best wishes for the graduating students. Also, a video is going viral on the internet where SRK is seen giving an acceptance speech while receiving the honorary degree. There is no doubt in the fact that Shah Rukh Khan is the undisputed King of Bollywood as he has been ruling the industry since decades now. In his career span, SRK has proved that he can get into the skin of any character.